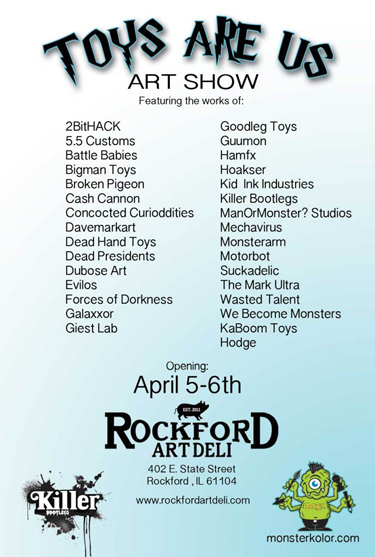 I was very excited to be given the opportunity to participate in the upcoming Toys Are Us group art show at the Rockford Art Deli. Curated by the good people at Killer Bootlegs and Monster Kolor, this show features many of my heroes, friends and favorite artists. The opening reception will be April 5th from 5-10pm and April 6th from 3-10pm, and the show will remain up until May 8th. The Rockford art Deli is located at 402 E. State Street Rockford, IL. 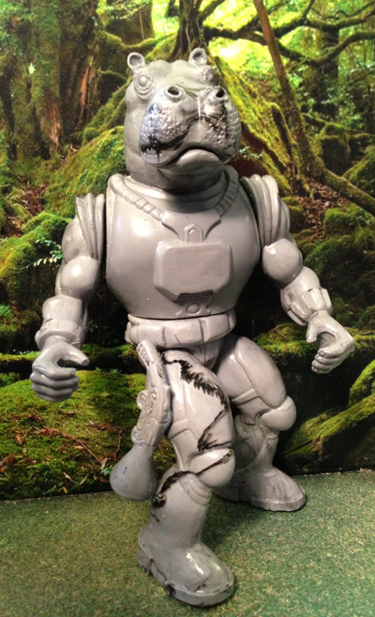 For my contribution to Toys Are Us, I created a 1/1 figure called Space Knight Eldrus. 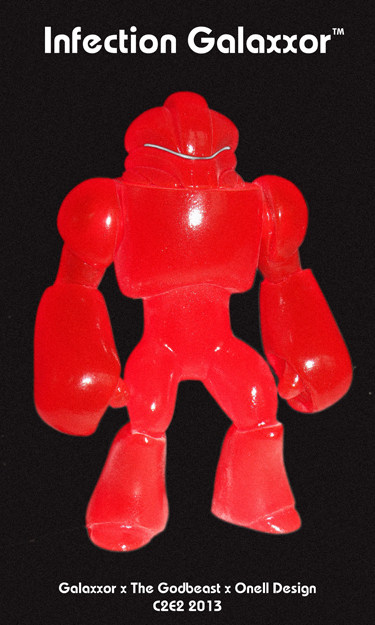 If the Space Knight look goes over well, I might think about revisiting this build, but will not be doing a Space Knight in this colorway (which came out particularly well, if I do say so, myself) ever again. Can't make the show, yet also can't live without Eldrus? No problem. All of the pieces from the show are also going to be available in the Rockford Art Deli Online Store. How cool is this? 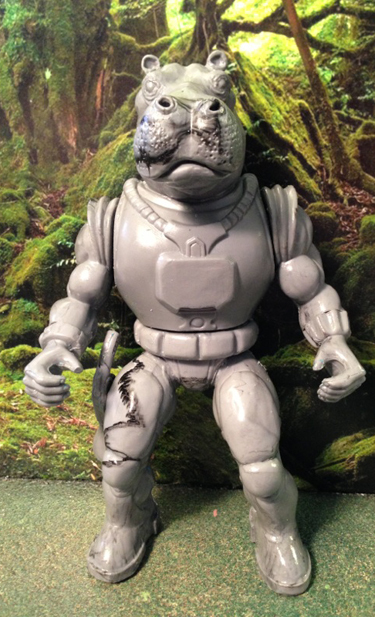 It's a test shot of my new Hippo Titan Soldier figure that I'm doing as a collaboration with ManOrMonster? Studios. ManOrMonster? 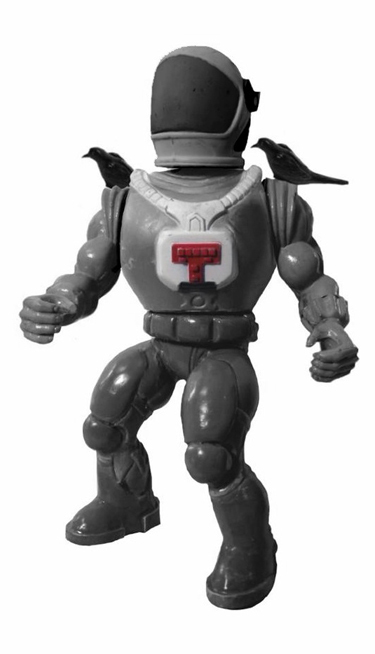 is the mastermind behind the awesome Warlords of Wor and MOTUMU lines of magnetically articulated 5.5" resin designer action figures. Much like other ManOrMonster? 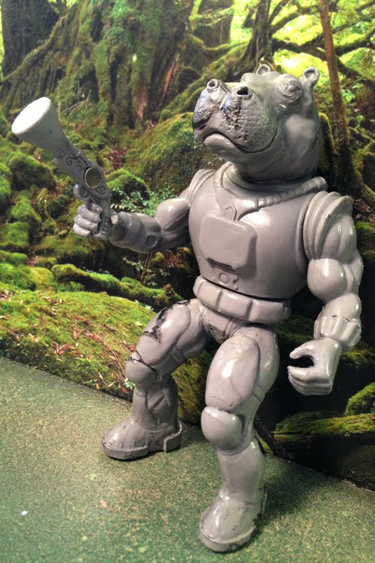 productions, Hippo Titan Soldier will have magnetic articulation. 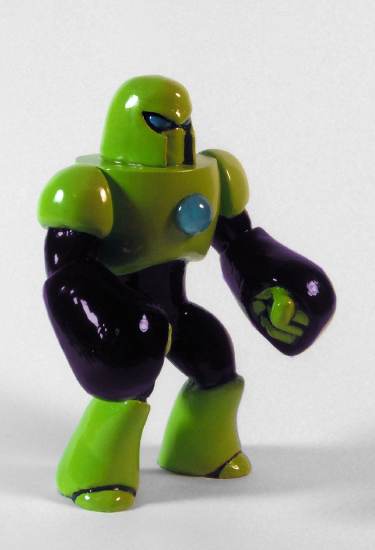 In this case, the articulation will be at the arms and waist and HTS will be fully compatible with WoW and MOTUMU's. It's also worth noting that this design and concept owes a great deal of debt to the Giff from the currently inactive Spelljammer D&D campaign setting. Anyone who's the least bit interested is wholeheartedly advised to check Spelljammer out! 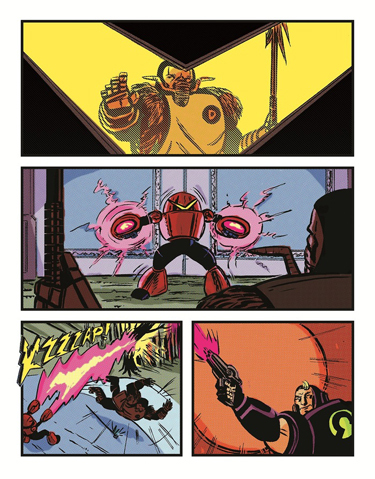 I had posted about this before, but one of the coolest projects in the world right now is the Mini Comics Included Kickstarter by my friends Michael Moreci, Steve Seeley, and Tim Seeley! 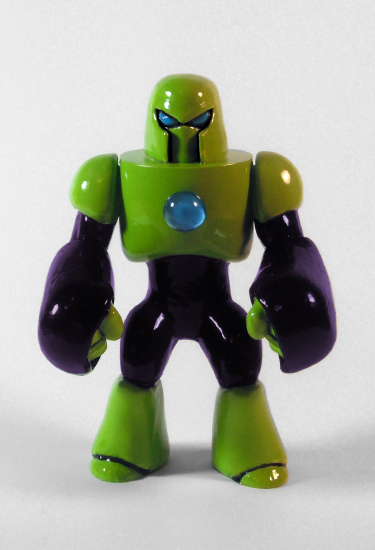 One of the incentives for the project was a super exclusive Galaxxor, which sold out immediately. But fear not! 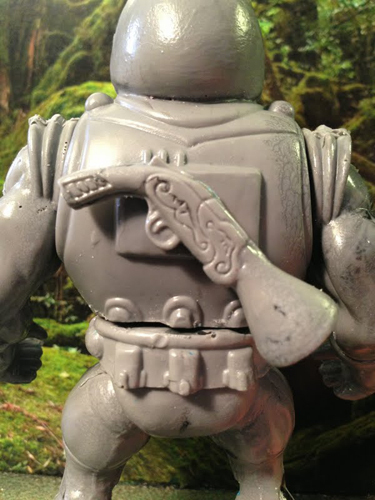 New incentives have been added, including this super cool Murder figure (from Hoax Hunters) which just happens to feature some Hippo Titan soldier parts sculpted by yours truly, along with other parts by ManorMonster Studios! My friends, Michael Moreci, Steve Seeley and Tim Seeley have something extremely cool up their sleeves with their latest Kickstarter project, Mini Comics Included! Set to feature six all new, all original, mini comics just like the ones that you used to love getting with your action figures back in the 80's, this is going to be something that you'll absolutely need.The lineup of comics will include Superbeasts (written by Tim Seeley; art by Clint Hilinski), The Omega Family (written by Michael Moreci & Steve Seeley; art by Paul Tucker), Colt Noble and The Megalords (written by Tim Seeley; art by Clint Hilinski), Prime-8s (written by Michael Moreci & Steve Seeley; art by Brent Schoonover), Dead Star Divas (written by Tim Seeley; art by Sean Dove) and Literary Commandos (written by Steve Seeley & Michael Moreci; art by Paul Tucker). ....and check THIS out! 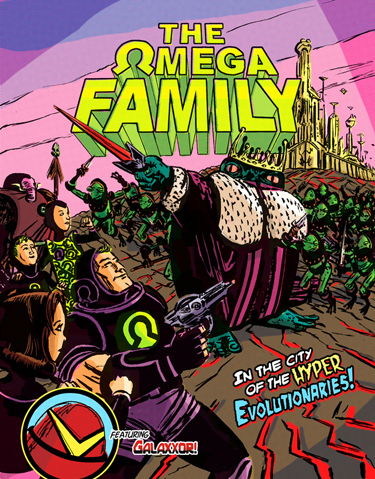 Galaxxor 007, himself, will make a glorious sequential art appearance in The Omega Family! How cool is that? 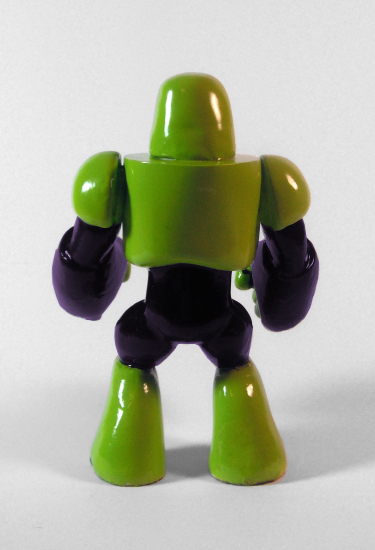 ...AND this suuuuper limited edition Galaxxor (Only three!) is available as a backer incentive! What you're seeing here is a digital mockup, but the figure will be pretty much exactly like the 007, except in a glittery white and royal blue colorway. 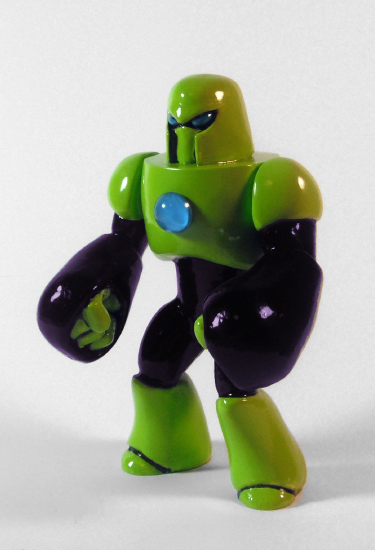 So, here's your chance to fund a really great project, get your hands on some awesome mini comics, and score one of the rarest Galaxxor figures ever made! So, do the right thing. Head over to Kickstarter and support Mini Comics Included! right now.